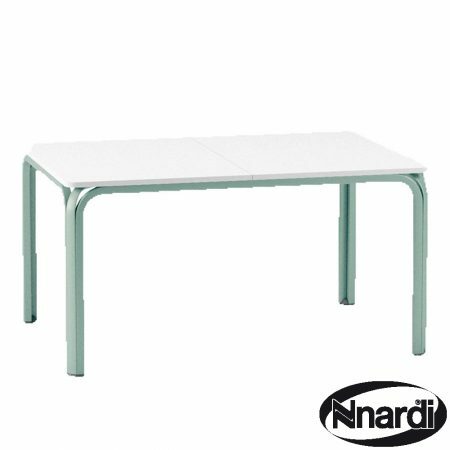 SORRY THE OLIMPO TABLE IN WHITE IS NOW DISCONTINUED. 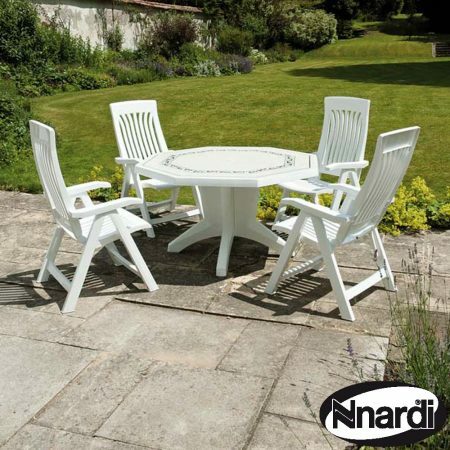 If you are looking for something a little different than look no further than the Olimpo set, finished in White and with the addition of the beautiful decor top that makes the top far more scratch resistant. 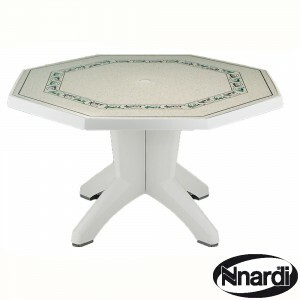 The table has an attractive Octagonal top and a pedestal base, the flora chairs are very durable and are multi positional. 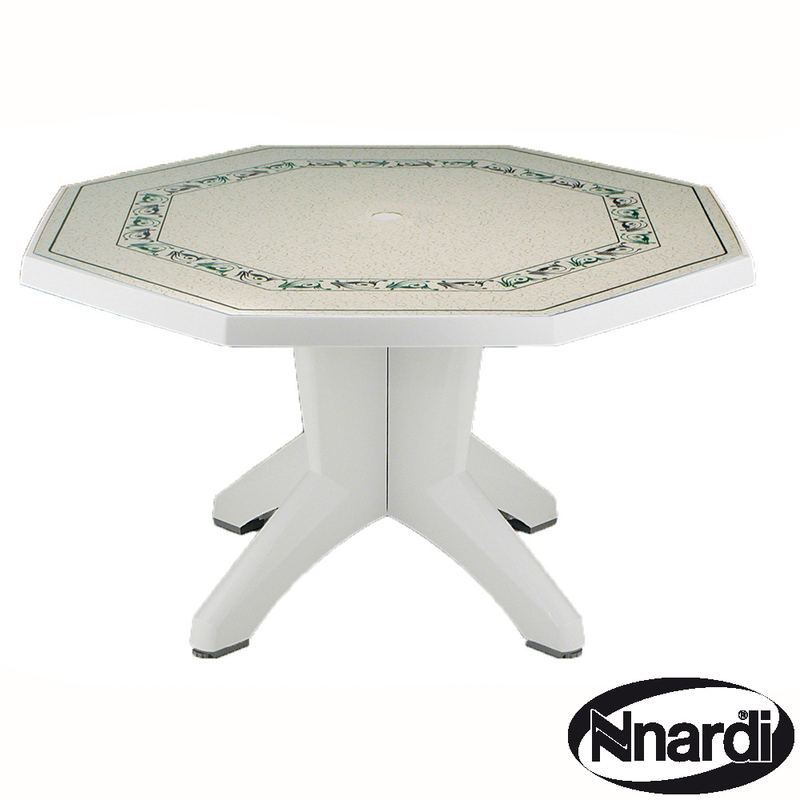 This maintenance free octagonal table is both easy to clean and UV resistant. 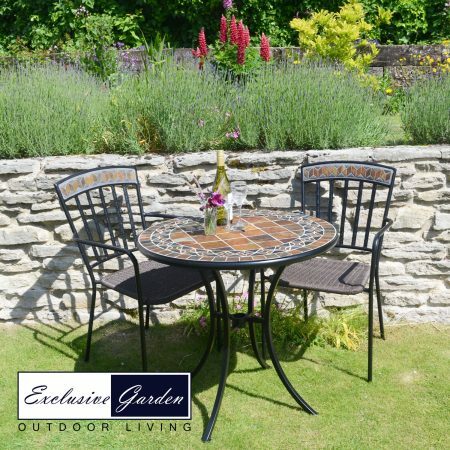 The décor on top is very hard wearing and uv resistant. 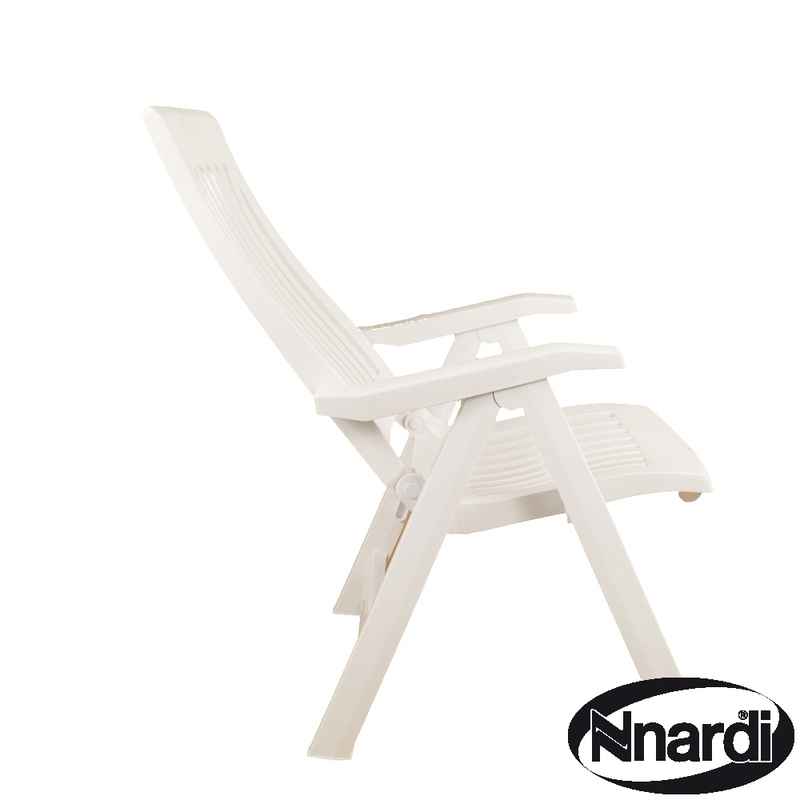 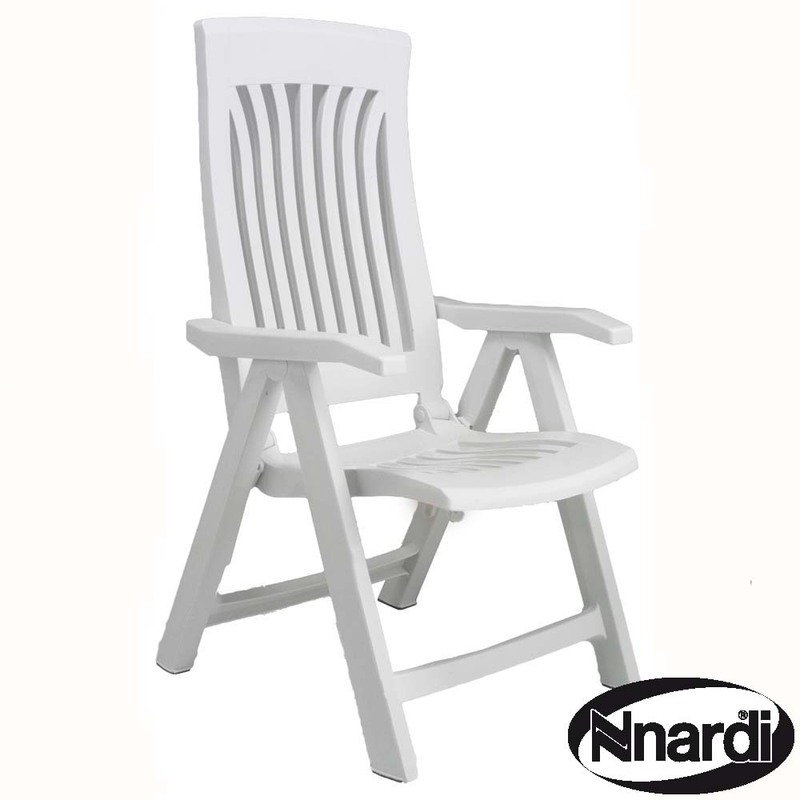 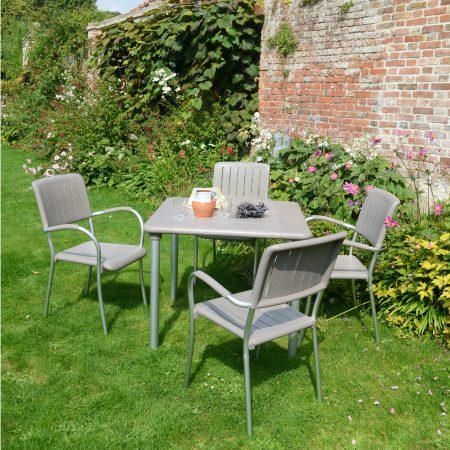 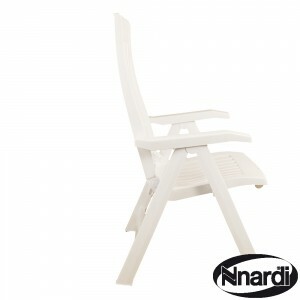 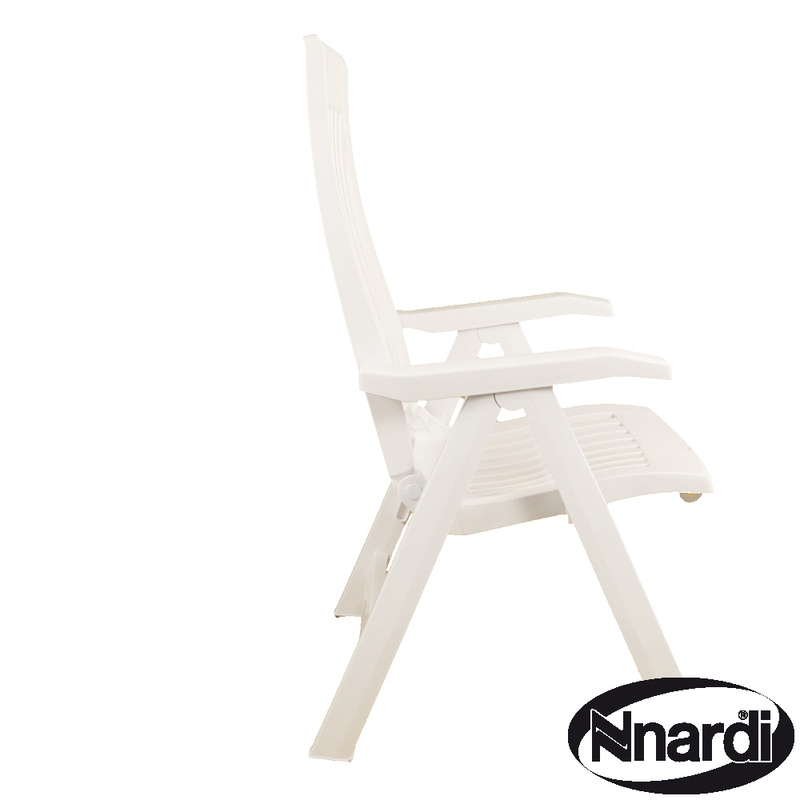 The 5 position Flora reclining and folding garden chair is very strong, maintenance free and uv resistant. 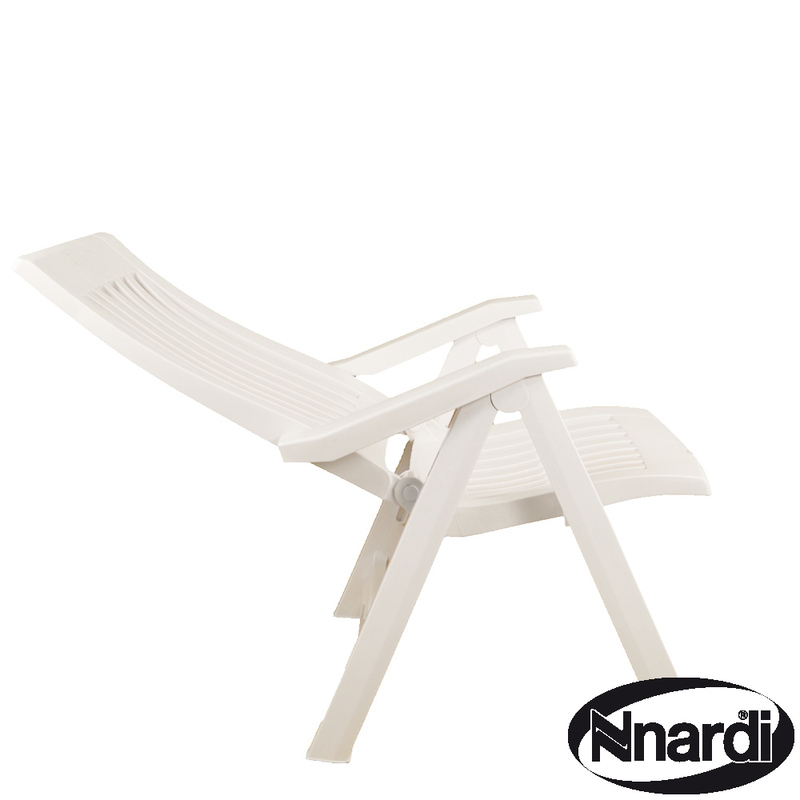 Cushions are available as optional extras, as is a foot rest to convert the chair to a lounger. 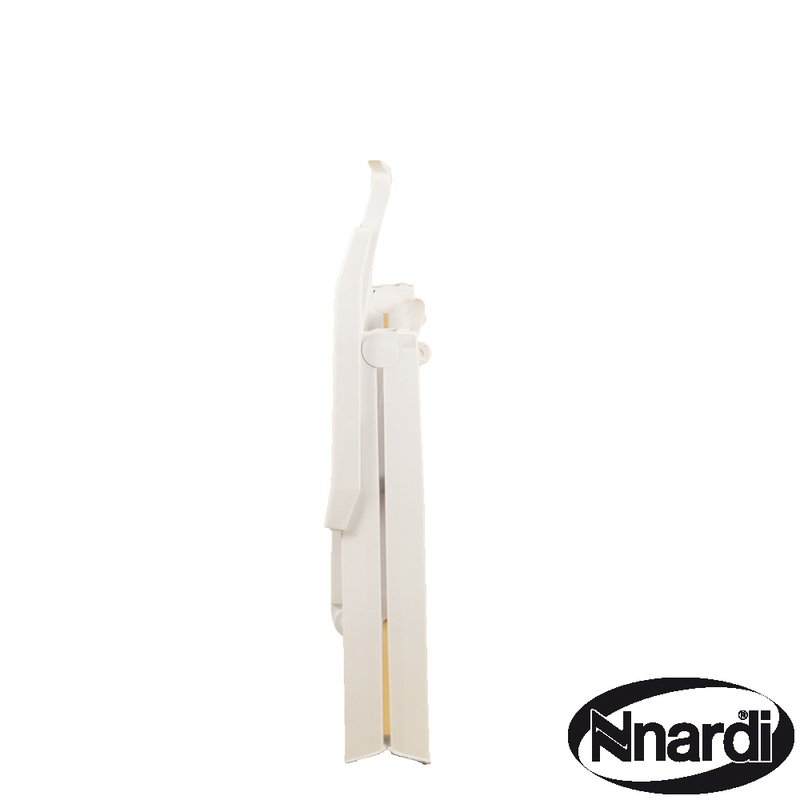 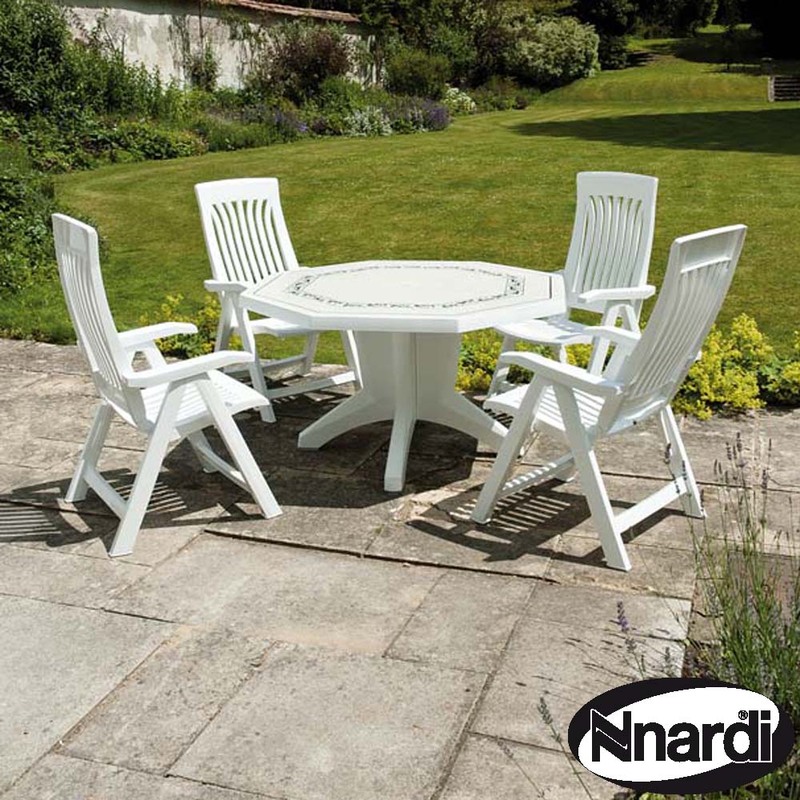 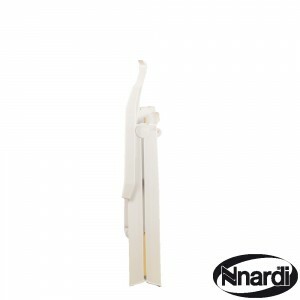 This classic white set adds a twist of style with the decor film top and octagonal shape.